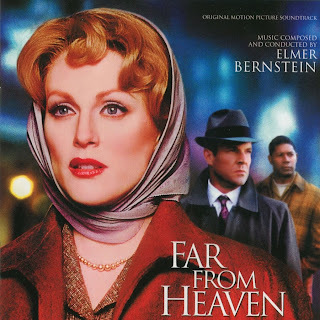 “Far From Heaven” (2002) is a monumental achievement on so many levels, an entire book could be written about the painstaking—and brilliantly realized—artistic detail that writer/director Todd Haynes and his talented crew infused into this stunningly faithful re-creation of the 1950’s melodrama. It is a somewhat overlooked modern masterpiece and one of the top ten best films of the 2000’s. Julianne Moore is remarkable. To put it simply, she was robbed of the Oscar. Her performance was easily the best of 2002. Dennis Quaid was an astonishing surprise at the time and his role here was the start of a well-deserved comeback for the actor. Dennis Haysbert (“24”) is an electrifying presence reminiscent of a young Sidney Poitier. 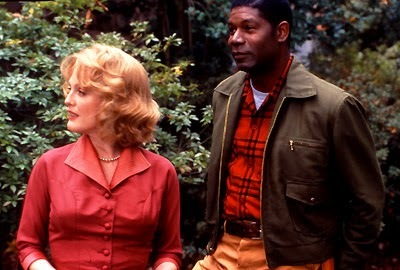 Why Haysbert is not a major star is beyond me. What is remarkable is how the film wildly succeeds on so many levels. It works both as a homage to the Douglas Sirk melodramas—especially “All That Heaven Allows” (1955) and “Imitation of Life” (1959)—and as a straight drama for modern audiences. It is a vivid period piece designed, directed, and photographed exactly as it might have been in 1955, right down to the use of incandescent lighting, artificial backgrounds and Elmer Bernstein’s wonderful, heartfelt, emotionally rich musical score. The “Far From Heaven” soundtrack album opens with “Autumn In Connecticut”, a beautifully arranged, full-bodied statement of Elmer Bernstein’s gorgeous main theme. Bernstein has this unique and wonderful change-up technique he uses. The cue will seamlessly change tempo and mood and take us into a jaunty, upbeat escalating motion before dropping back down into a deep melancholy section of the theme. It such an effective tool for hooking the listener (or the viewer) into the score. Elmer Bernstein’s soundtracks are often emotional rollercoasters where we feel the sentiment with each and every orchestral twist and turn. Track two “Mother Love” is forty-four seconds of pure wonder, followed by “Evening Rest” an emotionally charged cue with an aching melody that demonstrates why Elmer Bernstein is (along with Georges Delerue) the greatest composer of sad music of all time. Beginning with the “Walking Through Town” and “Prowl” Bernstein begins to unleash his orchestral arsenal, musically creating a foreboding sense of anxiety and longing as the on screen melodrama begins to unfold. It is astonishing how much musical storytelling the composer can pack into short cues such as the melancholy “Psych”, the dramatic “Hit, and heart-wrenching “Crying”. 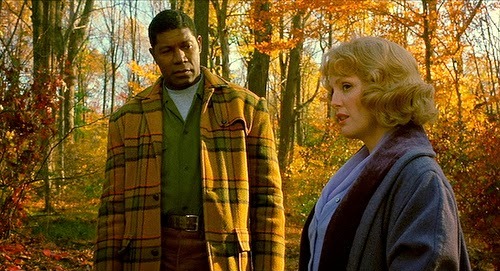 “Turning Point” is a cue of hope representing the on-screen relationship between Julianne Moore’s and Dennis Haysbert’s characters. It is four minutes and fifty seconds of utter joy. Bernstein’s ability to write gorgeous melodies with crisp, clear arrangements are reminiscent of another master composer from the era, the great Henry Mancini. “Cathy and Raymond Dance” gives Bernstein a chance to use his main theme as source music as a jazz band plays the song while Julianne Moore’s and Dennis Haysbert’s characters dance. It is a great moment—pure movie magic. The music turns darker as hope is lost and these two wonderful characters who need each other so desperately are pulled apart by the forces of oppression and hate. Bernstein takes us on the emotionally journey with the characters. We feel what they feel. “Revelation”, “Remembrance”, and “More Pain” are dramatic film scoring at its highest artistic level of greatness. The final two cues on the on the album, “Transitions” and “Beginnings”, give a haunting statement of the main theme as Bernstein takes us home, putting the final touches on this masterpiece, the crowning achievement of a legendary career that spanned over five decades. 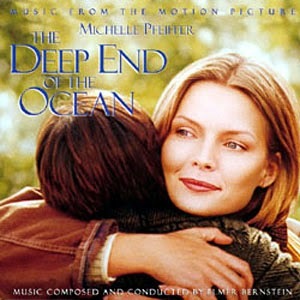 A perfect companion piece for “Far From Heaven” (both as a soundtrack and film) is the underrated 1999 tear-jerker “Deep End of the Ocean” starring Michelle Pfeiffer. Elmore Bernstein’s emotionally active score is full of beautiful moments of profound sadness and very evocative of his classic soundtrack for “To Kill a Mocking Bird” (1962), as well as his score for the outstanding “The Great Santini” (1979).